The Supreme Court today asked the Centre and the Medical Council of India to be cautious in granting permission to instutions imparting medical education saying any lapse could invite a "calamity" in the absence of qualified doctors with impeccable qualities. 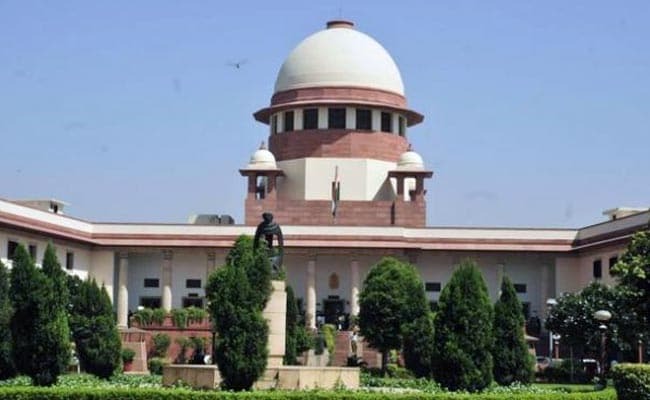 New Delhi: The Supreme Court today asked the Centre and the Medical Council of India to be cautious in granting permission to instutions imparting medical education saying any lapse could invite a "calamity" in the absence of qualified doctors with impeccable qualities. The court said that it is obligatory on part of the central government to take a reasoned decision with regard to granting permission to medical institutions to admit students. A bench, headed by Justice Dipak Misra, said it is essential to have institutions which are worthy of imparting medical education so that the society has not only qualified doctors, but doctors who have impeccable qualities and show sensitivity. The bench, also comprising justices Amitava Roy and A M Khanwilkar, said that the Centre should take an informed decision with regard to 'IQ City Medical College' before granting it permission to admit 150 student for the academic year 2017-18, in consultation with the newly constituted Oversight Committee, within two weeks. Noting the college has been running since 2013, it said the students admitted then would continue their education till 2018. "As we find the order of the central government is not a reasoned one, it is obligatory on its part to ascribe reasons," it said. The court directed the Centre to afford a further opportunity of hearing to the college representatives and take a decision which should contain reasons. It listed the matter for further hearing on August 24. The bench said it would be inappropriate to restrict the power of the MCI by laying down as an absolute principle on the issue of compliance verification. The assessors while visiting a college should verify all issues with regard to deficiencies and not turn a Nelson's eye in case they perceived certain deficiencies beyond the mandate, it said. The apex court verdict came on a plea filed by the college in Burdwan in West Bengal seeking quashing of the order of the Ministry of Health and Family Welfare refusing to renew the permission for the accademic year 2017-18 to admit the fifth batch of 150 MBBS students. The MCI has found certain deficiancies during its surprise inspection of the college and its facilities and had recommended the Centre not to renew the permission to the college for the academic year 2017-18.